slow when you add to the front of the list. This sample code show how words are added to an ArrayList. tired of typing System.out every time you need to print something? Notice how you can shorten you code. when ArrayList l is printed, the data in the list is printed. 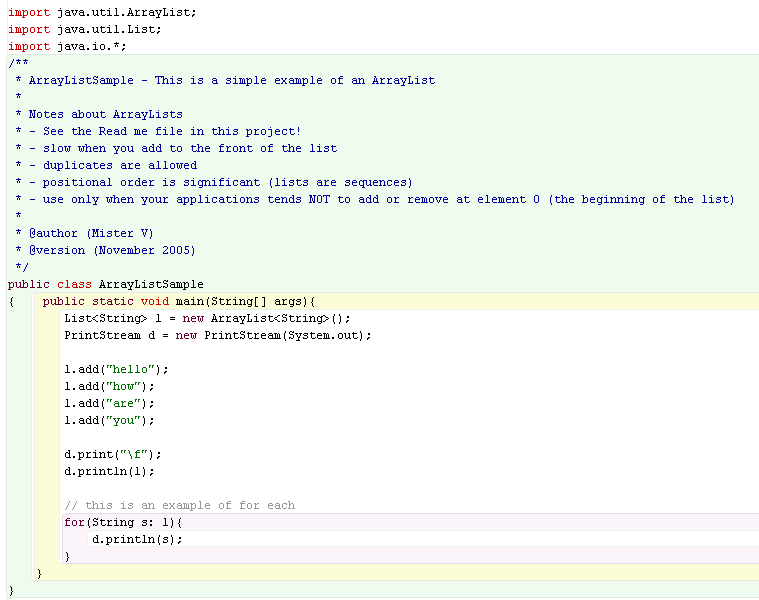 It is printing the ArrayList based on the toString() method in the ArrayList class. notice there is a new type of for loop -- it is referred to as a "for each" loop; as in "for each item in the list"